Recent research by Art of Mentoring showed a marked increase in the percentage of men who are nervous about working alone with women in a post #MeToo world. No doubt there are also board members and executives with growing concerns about the perceptions of men in power positions working too closely with junior women. It’s tempting to back away from programs that involve men mentoring women altogether: simply sever any risk of scandal or innuendo. Before boards allow themselves to run scared, they should remember two things. First, the evidence is that gender-balanced management teams positively impact performance. 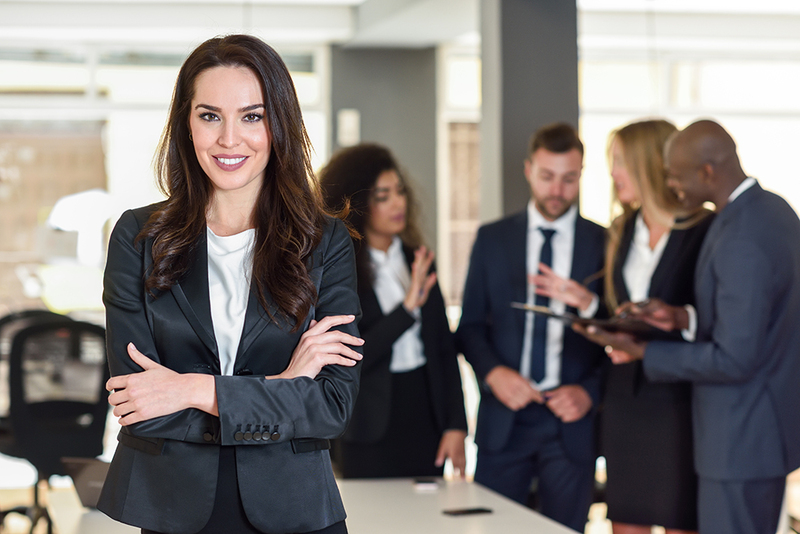 Second, mentoring is one of the best tools available to help talented young women (and men for that matter) develop into valuable assets in your C-suites. Let’s explore these points further. Recent research has put real numbers behind the value of gender-balanced management. A ten-year study of 300 companies in 10 countries by McKinsey looked at the correlation between the presence of women in top management teams and business performance. They found a 47% increase in return on equity and a 55% increase in the average EBIT margin between businesses in the top quartile for females on the executive committee versus companies with no women on the executive. A Sodexo study analysed the key business indicators from 100 global companies and 50,000 managers in 80 countries, and compared gender-balanced entities (defined as 40-60% women in management) with those entities without gender balance. What they found was remarkable. Gender balanced organisations enjoyed a 23% higher gross profit, 13% higher organic growth, 12% higher client retention and 5% higher brand awareness. These two studies should make it clear that getting women into management warrants considerable effort and risk taking. There is one tool that successful men have acknowledged for generations as key to their rise to the top: mentoring. Enabling women to access mentorship from people in positions of power (still mainly men) is one of the best tools for guiding women into C-suites and reaping the potential rewards of gender-balanced management. Mentoring can provide an entrée into the echelons of power to build networks and support systems that will bolster women’s careers. It also helps women to feel valued by the organisation and gain confidence in their careers. Yet, evidence consistently shows that women face more barriers in securing mentorships than men. A 2017 global study by professional services firm Egon Zehnder found that “if women don’t reach a critical threshold in their career early enough, they either stop reaching out for support or their organisations stop extending it.” In other words, talent is slipping through the cracks in the system. Formal mentoring programs offer a safety net for organisations to avoid talent loss, particularly amongst women. Given that men still hold the reins of power in most organisations, it is essential that men feel comfortable and confident in mentoring women if we are to achieve gender-balanced executives. This requires men and organisations to relearn and reshape traditional mentoring. In their book Athena Rising: How and Why Men Should Mentor Women, authors Brad Johnson and David Smith explain that the traditional notion of mentoring is (not surprisingly) modelled on a male-to-male relationship. Mentoring has evolved largely informally, with a male mentor expected to introduce his male mentee at the golf club or give him a slap on the back at drinks after work. The idea is to enable your mentee to become “one of the boys”. Women can never truly be “one of the boys” and a positive mentoring experience must show acceptance and inclusion for women as women. In Athena Rising the authors identified 46 dos and don’ts for men mentoring women. If you don’t have time to read the book, check out our blog, which highlights our top eight. Expecting mentoring relationships to develop and evolve “naturally” will only strengthen the “boys’ club” mentality that too often stands in the way of gender balance. Boards and management teams must implement and encourage formal mentoring programs with strong mentor and mentee training components. The time has come for boards and senior executive teams to “lean in”, to borrow Sheryl Sandberg’s now famous expression. The payoff for gender-balanced management is now clear. Boards cannot afford to let old habits or #MeToo jitters stand in the way of shareholder return. JOIN OUR WEBINAR 24 OCTOBER 2018 : The Art of Opening Doors for Women and hear from Brad Johnson directly on the topic.